In the previous post, we discussed Unity Remote to lessen the time taken to view constant changes on target platforms. Now, we would like to package game code once to be deployed to multiple devices. In this post, we use Jenkins: an open source continuous integration tool to perform automated builds. 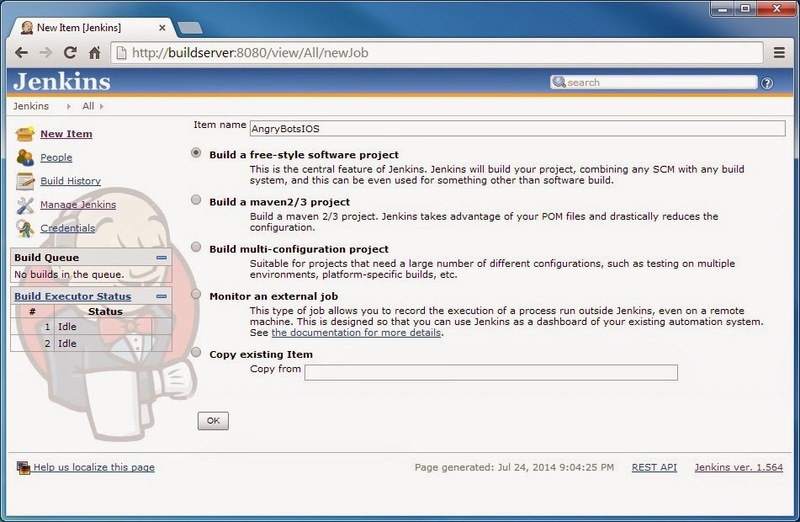 At the time of this writing, Jenkins is available for Android on PC and both Android / iOS on the Mac. Ensure you have the following pre-requisites installed and setup as per previous post. 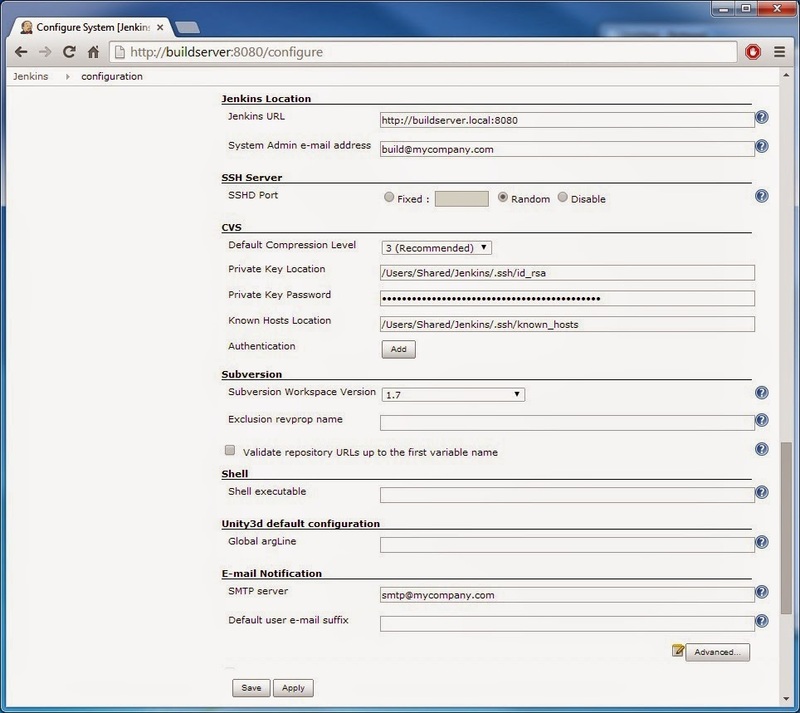 Also, ensure you have an SVN client installed on localhost, for example, Tortoise SVN. As an example, let's upload Angry Bots into source control (SVN) to demonstrate automated builds. Note: upgrade to Unity Pro licence if you would like to programmatically Build the Player Pipeline. // Delete streaming assets (downloaded from source control). Download Jenkins Binary Installer and run. Restart computer. Navigate to http://localhost:8080. Ensure the following plugins are installed: Subversion Plugin and Unity3d plugin. Start | run | services.msc. Scroll down to Jenkins. Right click. Restart. Main dashboard | Click New Item | Enter Item name: AngryBotsAndroid. 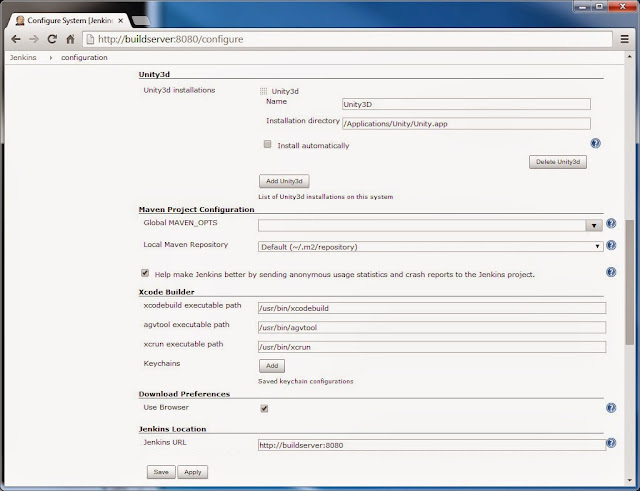 Click radio button next to "Build a free-style software project". Click OK. Note: you may be prompted to enter SVN source control credentials at this point. Credentials | Click Add button | Add SVN source control Username and Password. Click Apply button | Click Save button | Click Build Now. 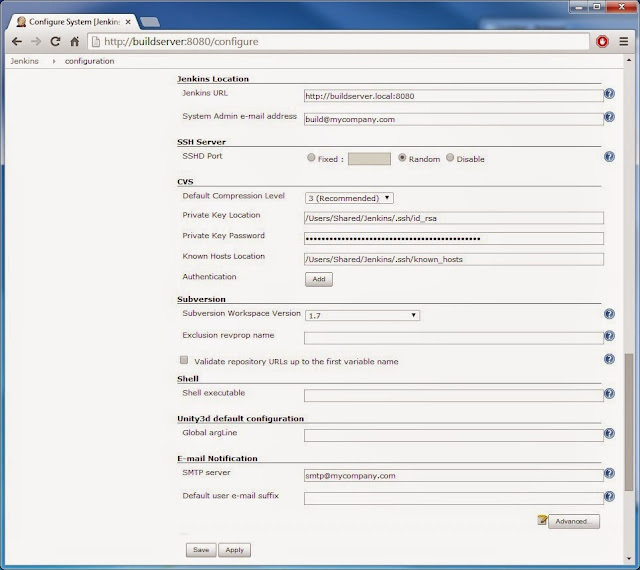 Main dashboard | Click AngryBotsAndroid | Build History | Click DateTime link | Console Output. Scroll to bottom: note the absolute path to AngryBotsAndroid build job workspace entered there. Start | run | cmd | cd "C:\Program Files (x86)\Jenkins\jobs\AngryBotsAndroid\workspace"
Congratulations! Angry Bots should be installed on your Android device ready to play. Also, ensure you have an SVN client installed on localhost, for example, svnx for Mac. 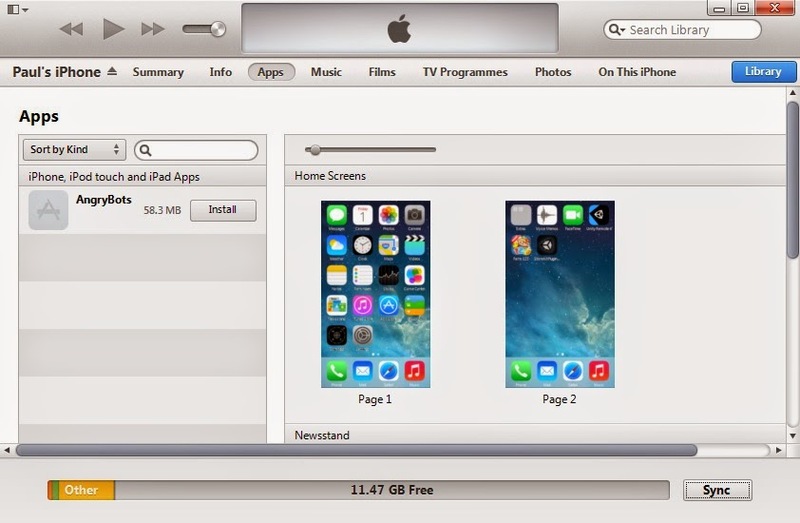 In order to deploy code to an iOS device, this post assumes you have an Apple Developer ID. This post also assumes you have a Provisioning Profile setup via the Apple Developer portal. Automated builds may actually benefit from archiving final packaged products to a network file share. 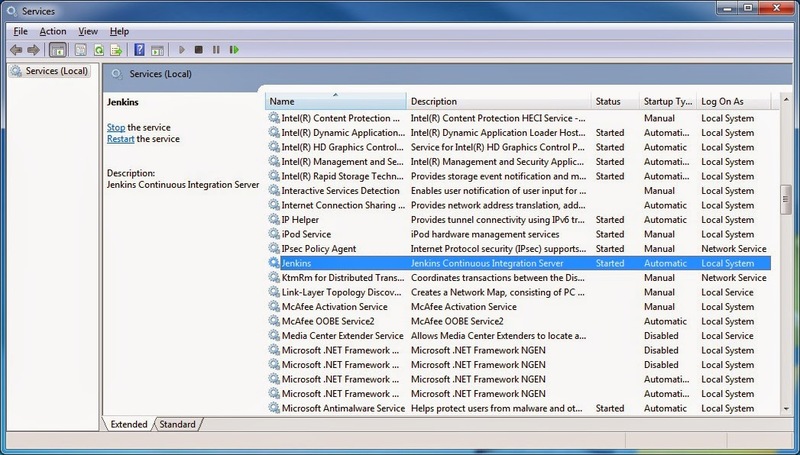 That way, packages can be deployed from mounted network file share on to multiple devices directly. For example: there is a Shared/builds folder on ARCHIVE-SERVER for automated builds. Finder | Go menu | Connect to Server... Enter the following Server Address: smb://username:password@ARCHIVE-SERVER/Shared. Click Connect button. 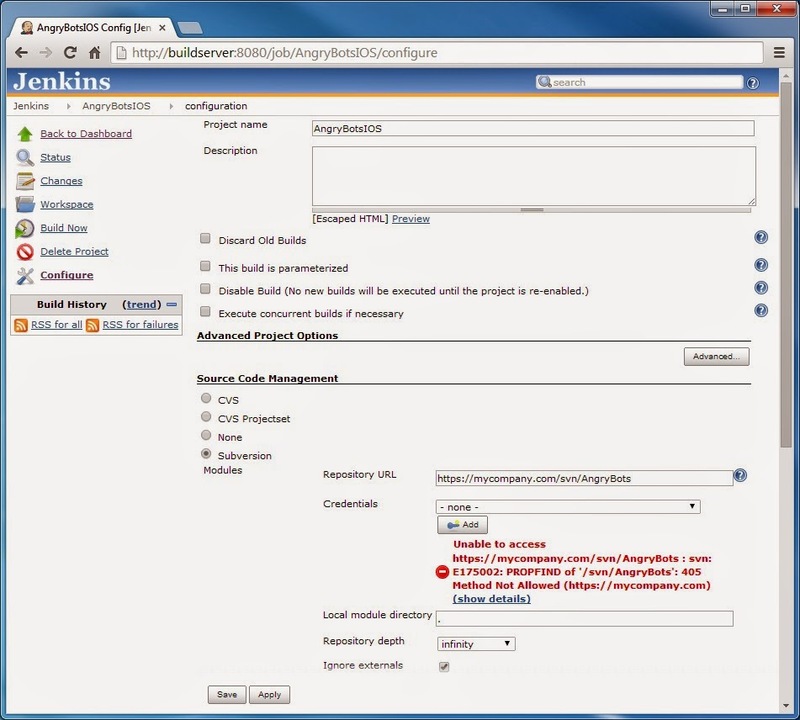 Important: Jenkins must run as root user in order to have copy permission to mount drive. Change <string>Jenkins</string> TO <string>root</string> | Type !wq to Save. // same code as before. 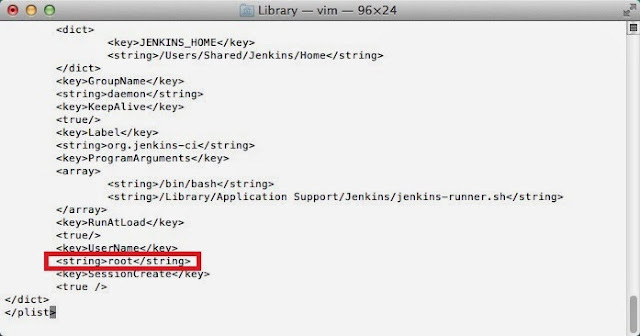 Note: if you receive warning "Jenkins.pkg can't be opened because from unidentified developer"
Choose: System Preferences | Security & Privacy | Click "Open anyway" button | Install. Ensure the following plugins are installed: Subversion, Unity3d and the Xcode plugin. 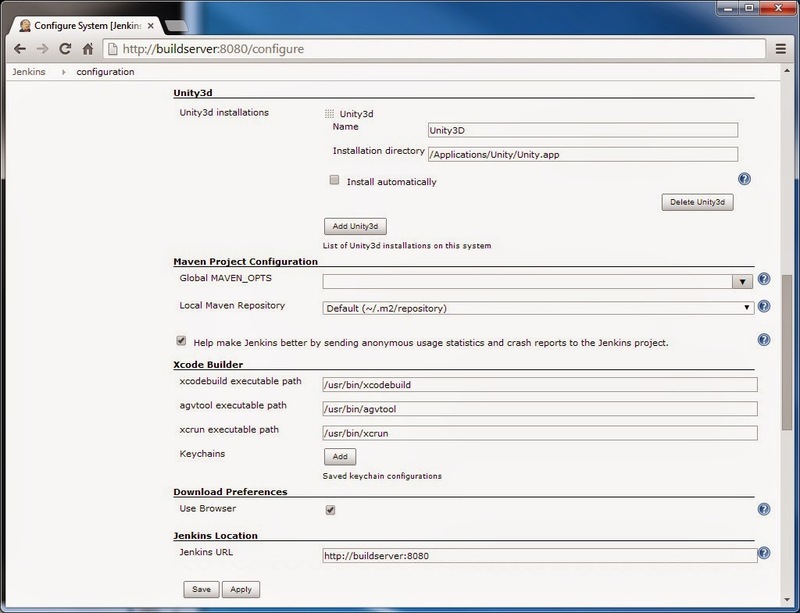 The Jenkins Installer sets up a launch daemon listening on port 8080 for all incoming requests. Main dashboard | Click New Item | Enter Item name: AngryBotsIOS. Click radio button next to "Build a free-style software project". OK.
For example, poll build server every 10 minutes for any source code revisions. 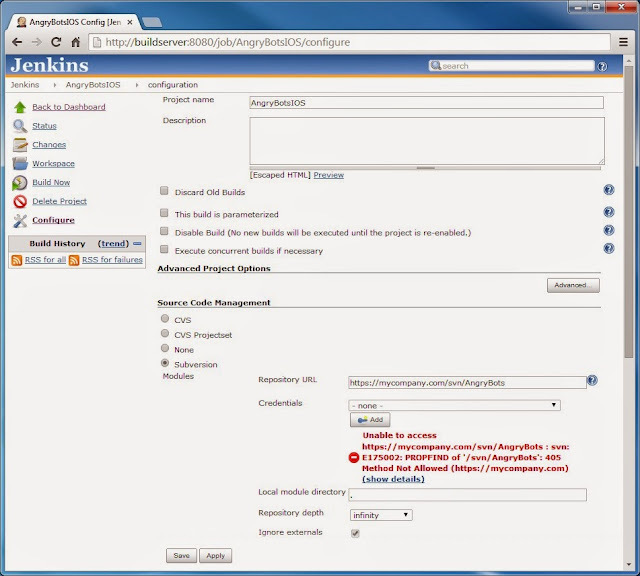 Note: leave blank if you do not wish to override the code signing identity in project. # Create archive directory if necessary. # Remove archive file if exists. # Copy archive version of file. iOS automated builds may encounter errors if the build server is not completely setup. Note: you may need to repeat with the "iPhone Distribution YOUR NAME" certificate. If you encounter this error then Jenkins wants to run as its own private user instead of Mac OS/X. If you are using Unity 4.3. 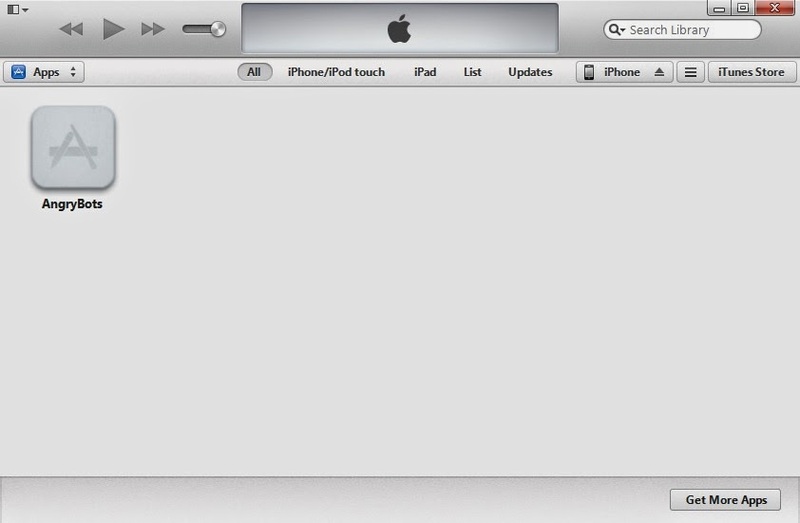 * and Xcode 5.1. * then you may possibly receive this error. If you are using Unity 4.5. * and Xcode 6.0. * then you may possibly receive this error. If you are using Unity 4.6. * and Xcode 6.2. * then you may possibly receive this error. Add File to Library... | Navigate to \\ARCHIVE-SERVER\Shared | Double click AngryBotsIOS.ipa Click iPhone button | Click Apps button | Click Install button (next to AngryBots) | Click Apply button. Congratulations! 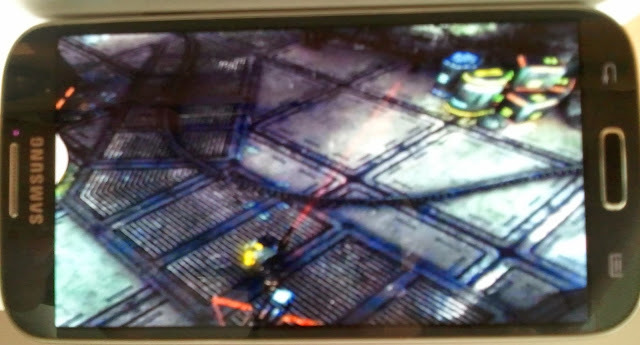 Angry Bots should be installed on your iOS device ready to play. 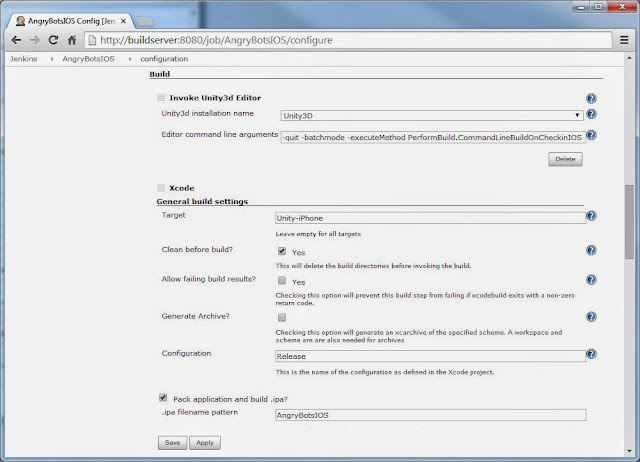 The only automated build option outstanding here is an Android build deployed on the Mac. Fortunately, this is simple: clone iOS build job, remove Xcode build step and modify script. Click radio button next to "Copy existing Item". Enter "AngryBotsIOS". 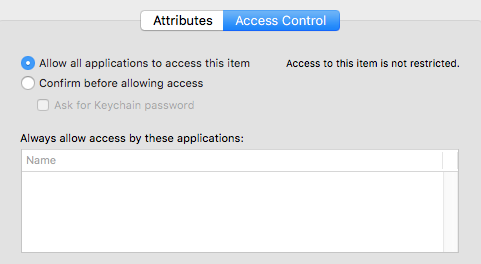 Scroll down to Xcode | General build settings | Click Delete button. # This is the output APK file. In conclusion, Continuous Integration has many advantages; one of which of course is stability: an automated build process constantly checks state of the code and immediately reports build errors. The timeliness of this feedback is critical for maintaining stable code. Especially for software being regularly deployed to multiple devices; most of which avail to frequent online mobile store updates! how to make locationPathNameAsCommandline parameter? 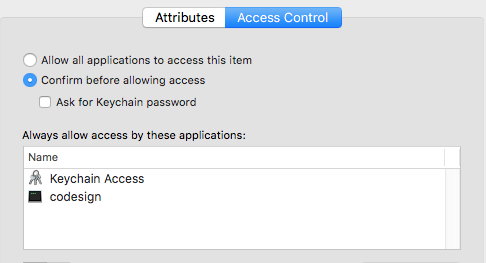 I had some provision profiles problem during xcode compilation, because profile is App ID is somehow connected to ProductName and in you script is bundleID = product name hardcoded, i think that it would be much better to muse product name variable in script. 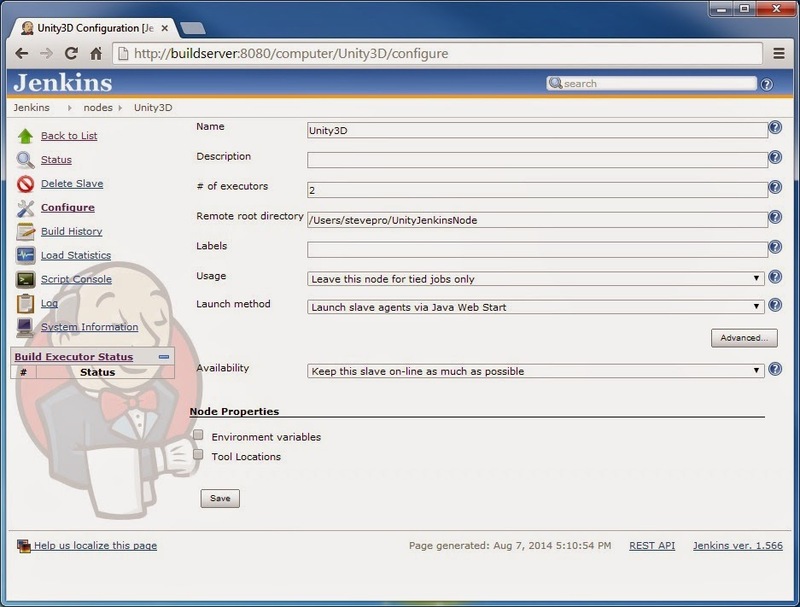 Other problem which i would like to solve right on Jenkins level is output folder with game like GameBuilde20140814-8h22m11s. 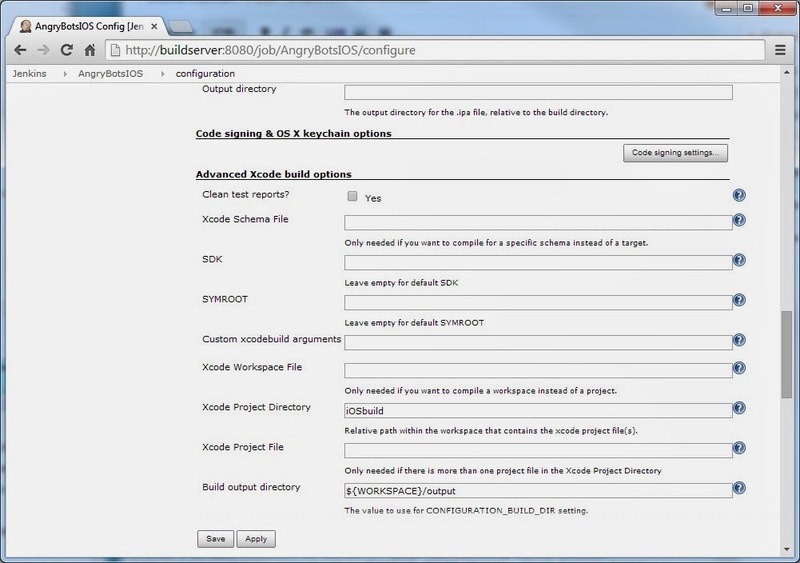 I didnt found any jenkins variables for directory names help. Yeah i know i could fix it by some shell / command like commands. Thanks Nabeel - glad you enjoyed the (long) article! 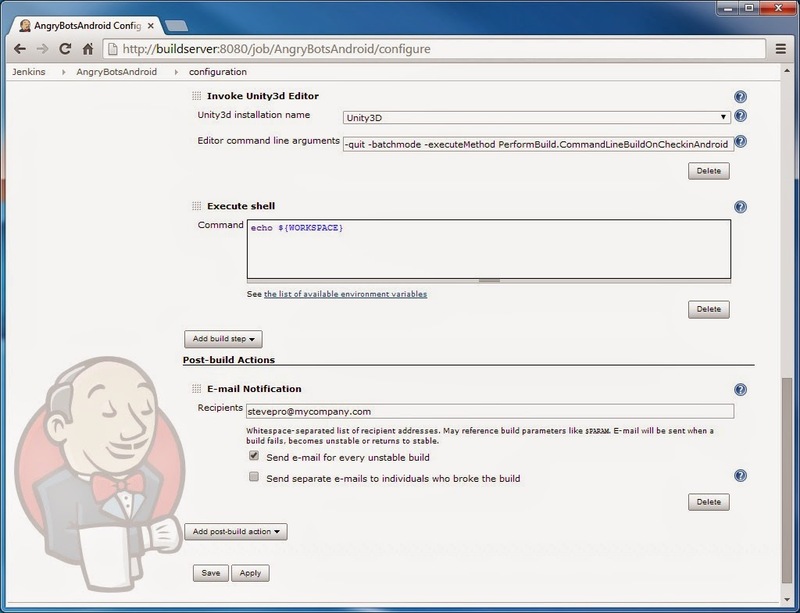 This article gives an example how to inject Unity command line parameters into the automated build from Jenkins.